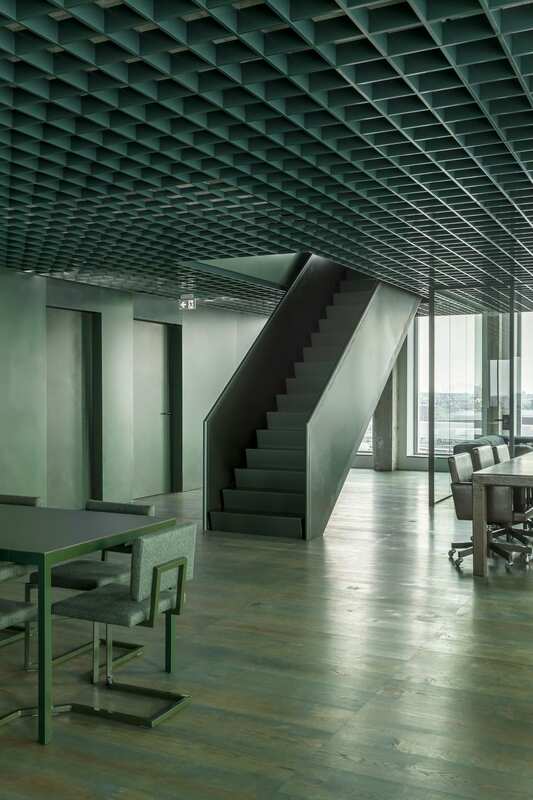 Sony Music Entertainment Amsterdam HQ by Space Encounters. 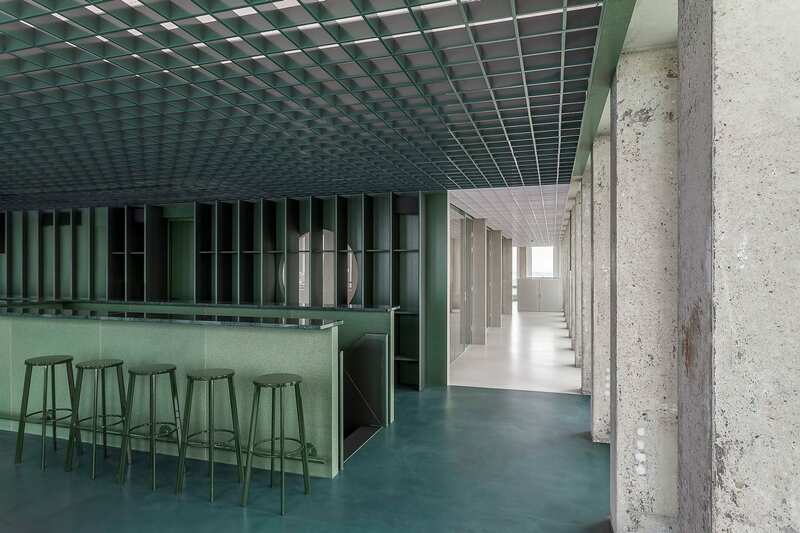 Of course‘s Amsterdam HQ needs a vinyl boardroom table that doubles as a DJ booth, and a stairway that is also a bar. It’s work made a bit more entertaining, and I for one, would not mind that meeting being added to my diary. 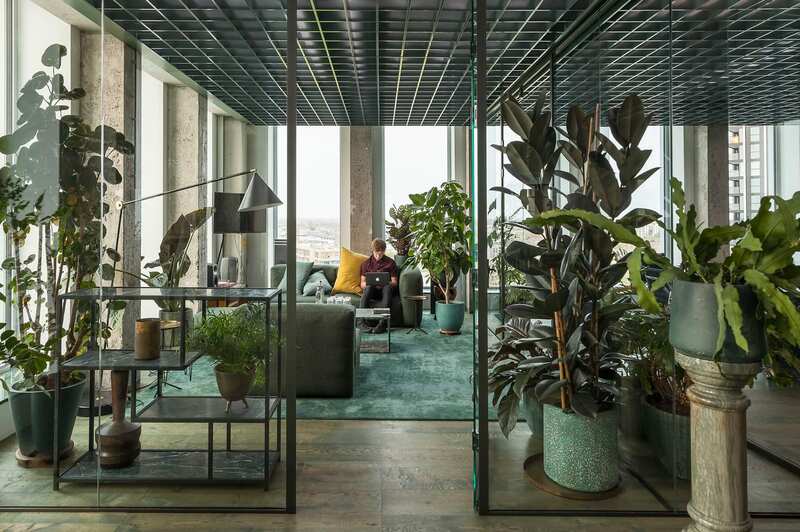 The music biz giant’s new office interior has been created by local design studio Space Encounters, who have worked to develop the industry’s requirement of a workplace that can double as an entertainment space. 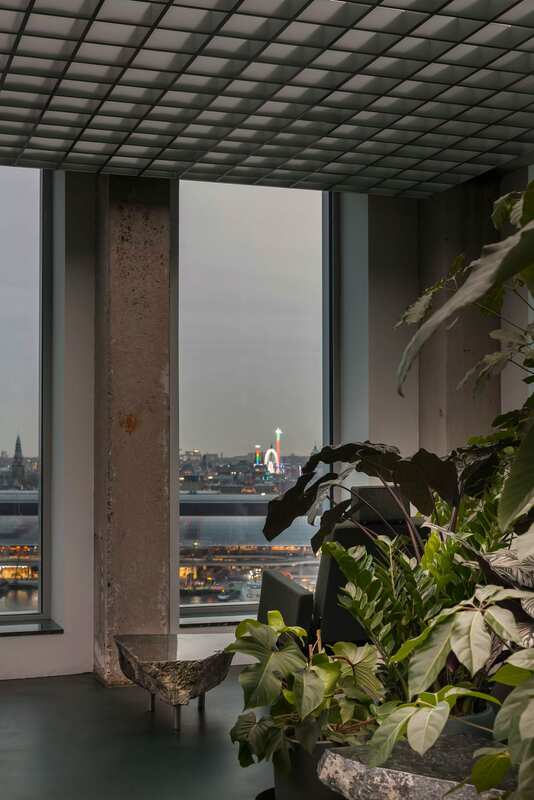 The office is located in the recently refurbished iconic, 60s-era A‘DAM Tower (Amsterdam Dance and Music) on the banks of the IJ River. 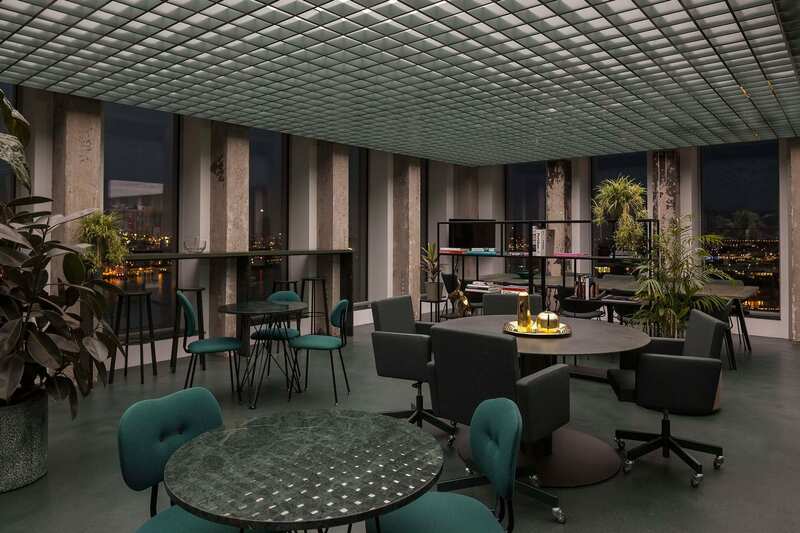 The 22-storey building used to be the headquarters of Royal Dutch Shell, and its reinvention, which has been rolling out over the last 12-months or so, is pretty much equal parts party and work, with a members-only nightclub, Amsterdam’s most expensive hotel room, and a whole host of other creative industry tenants like Massive Music, Wink, ID&T, and Gibson. Sony Entertainment are the new kids on the block. 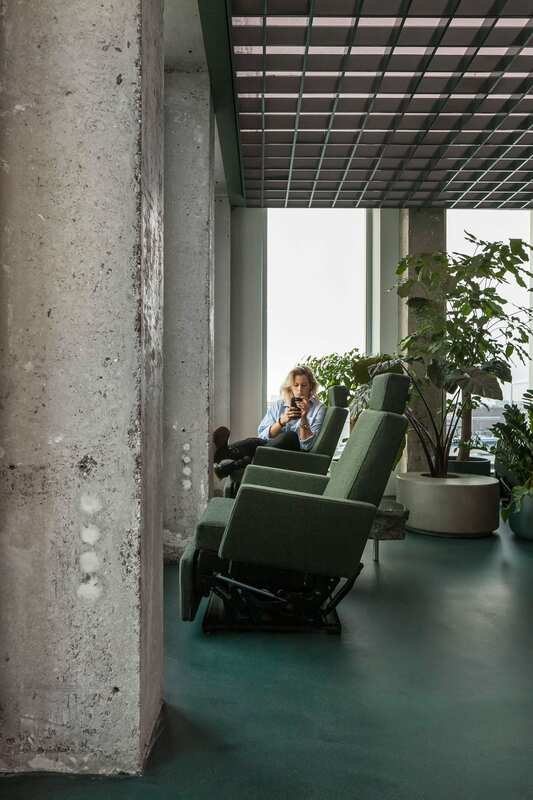 Related: JOOLZ HQ In Amsterdam With Lush Internal Courtyards By Space Encounters. 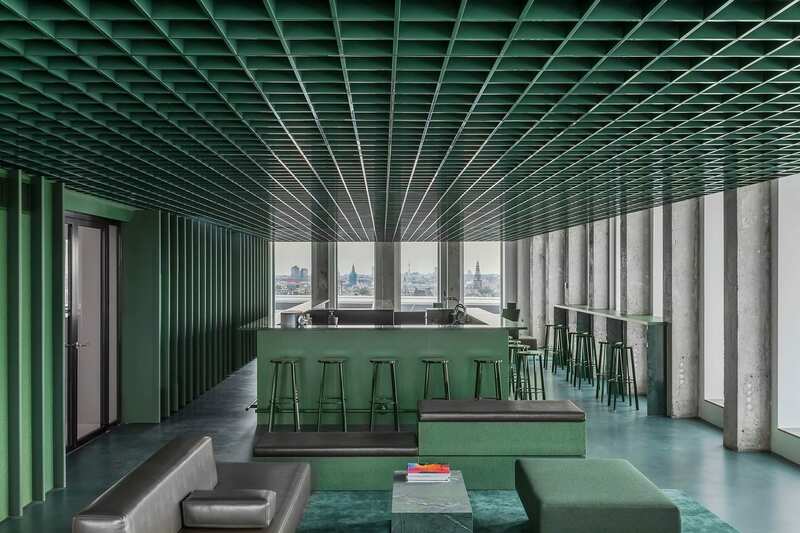 And while the tower blends it all as one, Space Encounters have delineated a divide between work and fun, computer and cocktail through cool colour-blocking. 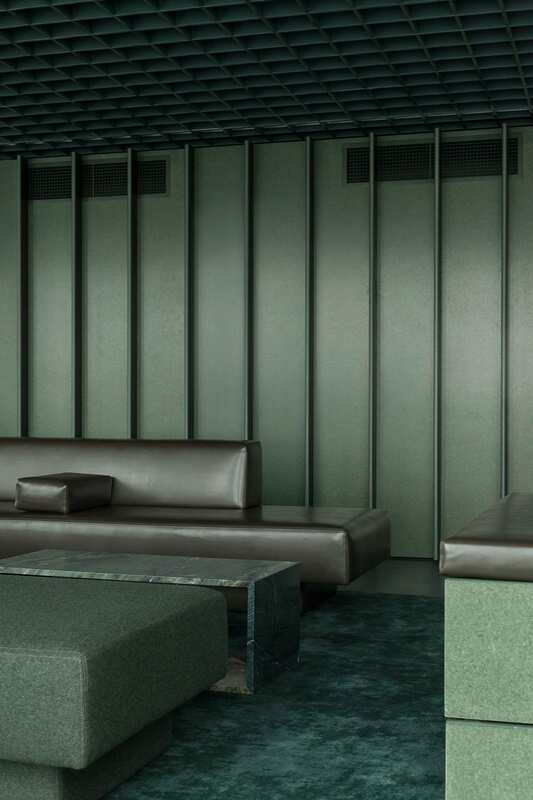 Greys and white are for clear-cut work, emerald and green are for fresh fun times. 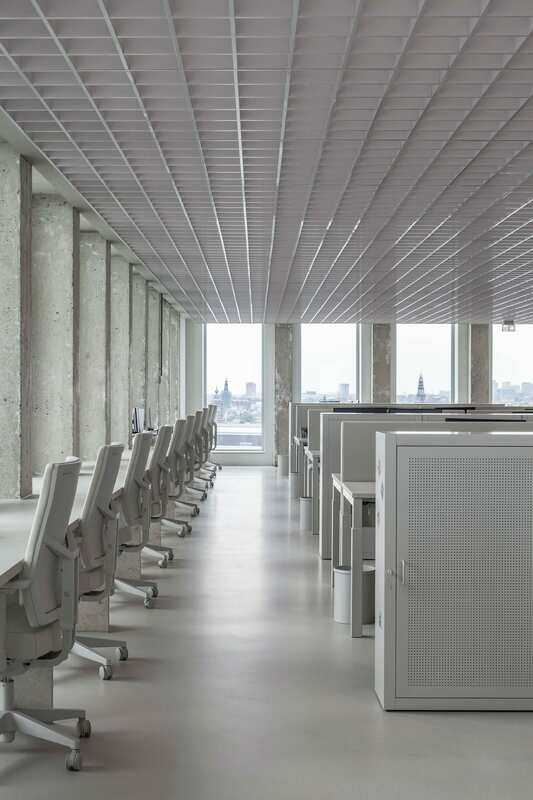 Throughout the space, a soundproofed grid ceiling is lit via LED strips, which bounce off white acoustic spray to create soft, diffused light. The window edges of the floor plan are kept open and free, and ferns are peppered heavily throughout too. 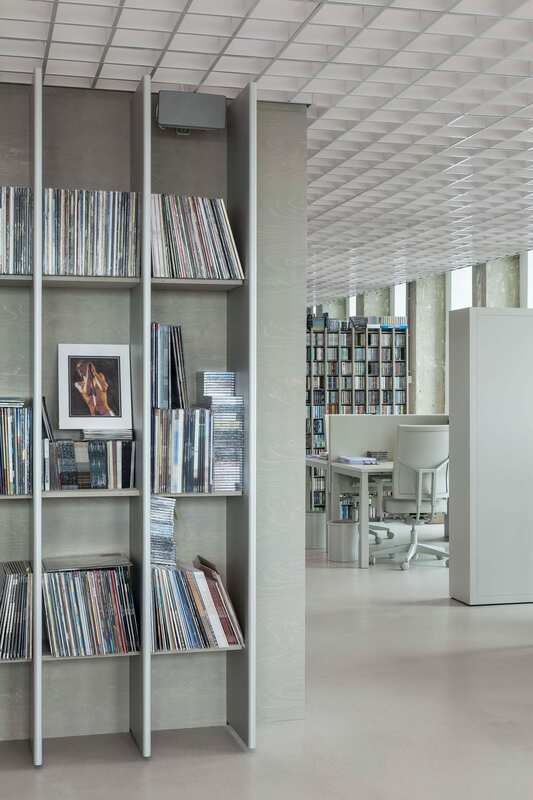 Last but not least, the centre space has also been designed to resemble the inside of an amplifier. 1979 G-Class Mercedes Cast in 40,000 Kilograms of Resin. 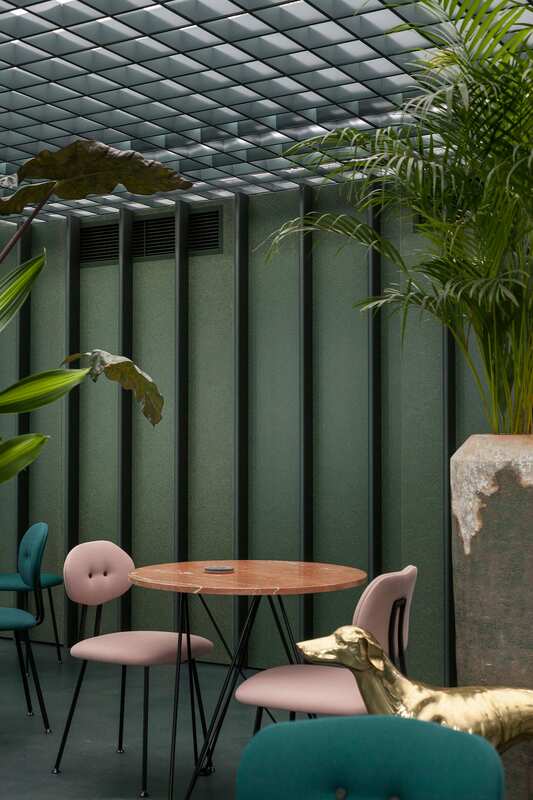 Cookers Cafe in Moscow by VETER DESIGN.